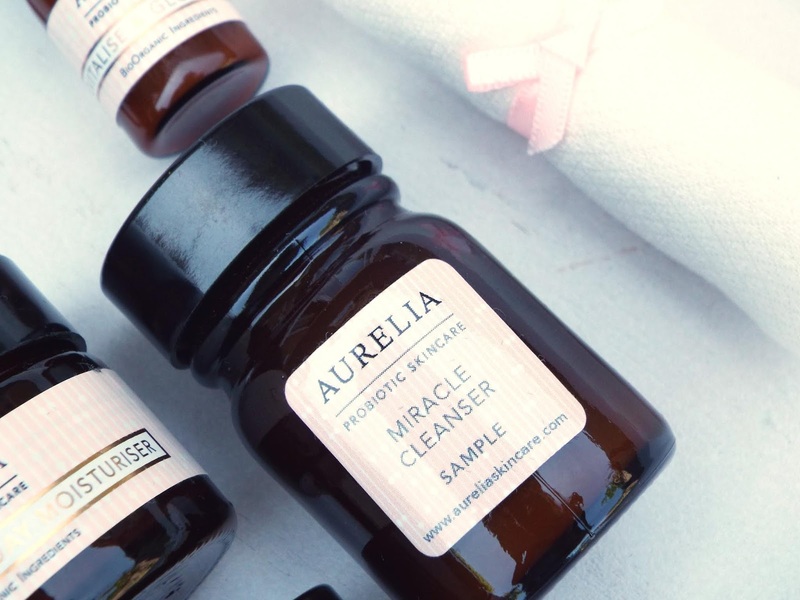 I've got a lot of love for pro-biotic skincare brand Aurelia so I had to share this little kit because it really is amazing value. 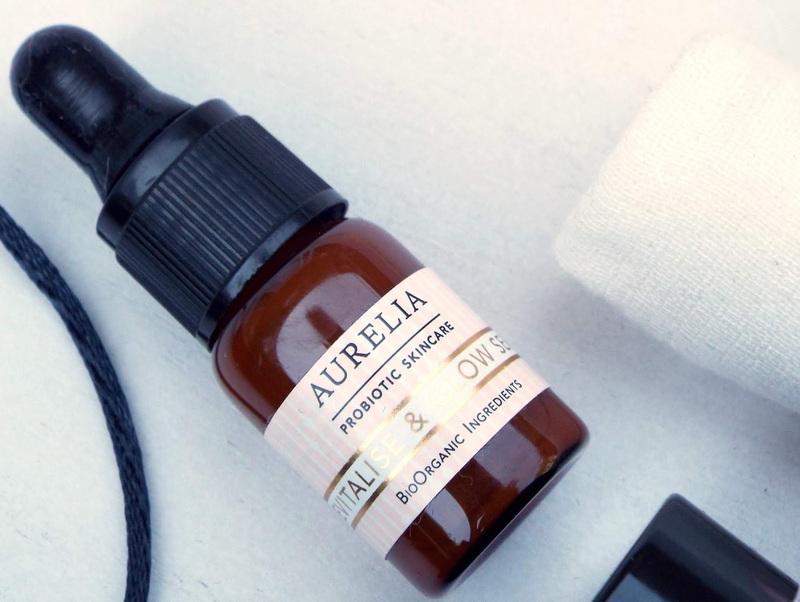 Aurelia is a luxury green beauty brand so the £10 price point of this little kit is surprising to say the least. 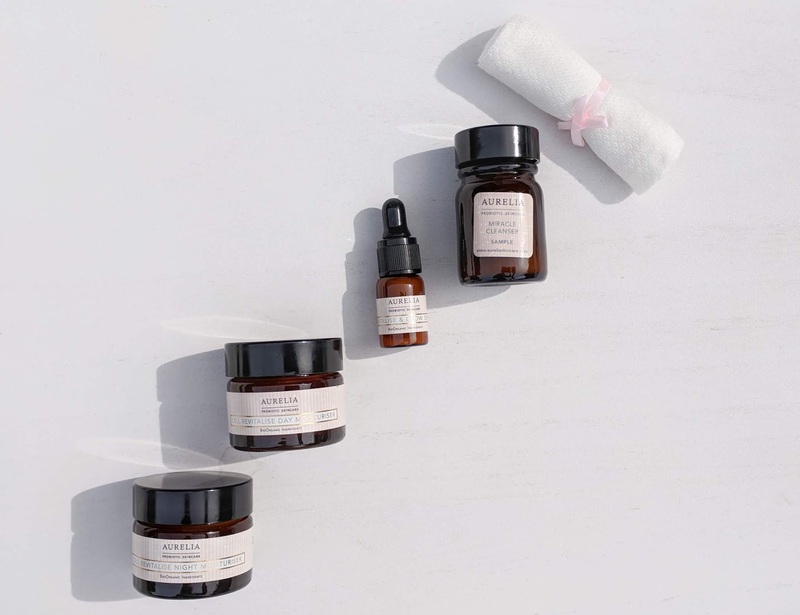 The Aurelia 3-Step Discovery Kit features the brand's 3 step regime in handy travel sizes that should last you over a week when used twice a day. 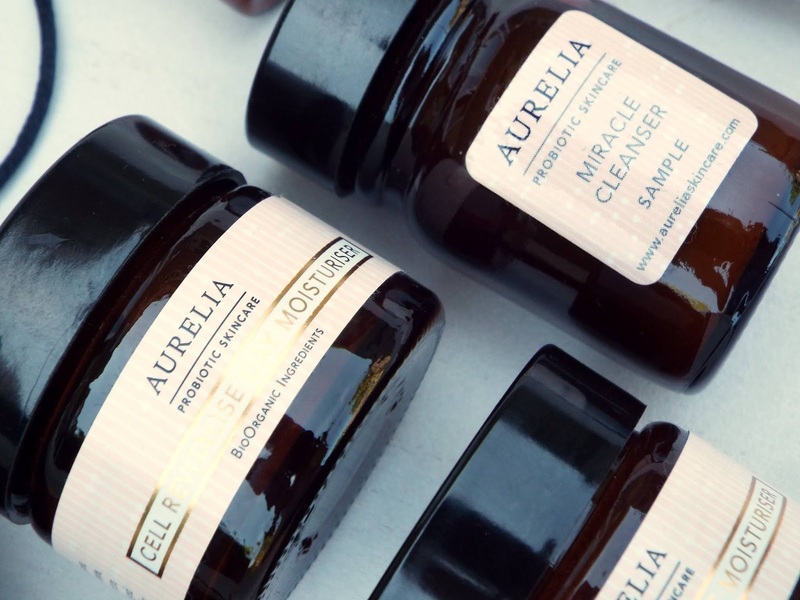 As you can see, the samples are pretty generous and all of the items are contained in glass jars and bottles with proper labels, so they retain the luxury feel of Aurelia's full sized items. I raved about the Miracle Cleanser years ago on Instagram- it's a gorgeous cream formula with the most refreshing scent. The aromatic cleanser contains eucalyptus, bergamot, chamomile and rosemary oils so it really awakens the senses and is absolutely brilliant if you've got a cold or hayfever and are feeling a little congested. I feel like the cleanser alone at this size is worth the ten quid but the serum and day and night moisturisers are just as lovely. I have used all of these products before and dipped in and out of them when I've felt my skin needed some TLC. The Revitalise and Glow Serum is lightweight with a milky sort of texture that absorbs beautifully. Containing the brand's highest concentration of probiotics, the serum performs the double duty of creating instantly radiant and dewy skin while also working to revitalise and firm. The serum is packed with BioOrganic botanicals including Baobab, which is rich in omegas, Kigelia Africana to firm the skin and Hibiscus which is rich in antioxidants. It really is a lovely serum which preps the skin perfectly for the next step - either the Cell Revitalise Day Moisturiser or Cell Revitalise Night Moisturiser. The Cell Revitalise Day Moisturiser has an interesting texture - it's lightly whipped and luxurious and feels beautifully light and refreshing on the skin. It sort of melts into the complexion and would work in any sort of weather - I'm revisiting it at the moment during this heatwave and it's certainly not feeling heavy or cloying on my face. The award-winning moisturiser contains hydrating and soothing plant and flower botanicals and Mongongo and Argan oils that work together to create soft, smooth and radiant skin. The cream contains essential oils of Jasmine, Plumeria, Tuberose and Mandarin so it smells as gorgeous as it feels. The Cell Revitalise Night Moisturiser is ultra-rich and comforting, making it a beautiful product to complete your evening routine with. The cream contains Shea Butter and Aloe Vera to nourish and cool the skin and is enriched with a special blend of sleep-friendly essential oils including Neroli, Mandarin, Rose and Lavender so you get a nice hit of olfactory goodness while a long list of BioOrganic ingredients get on with calming and hydrating while you snooze. At £10, this really is a brilliant kit to either get yourself acquainted with a beautiful brand and the travel sized products are perfect for taking away on holiday. You can find the 3-Step Probiotic Discovery Kit online at Aurelia.